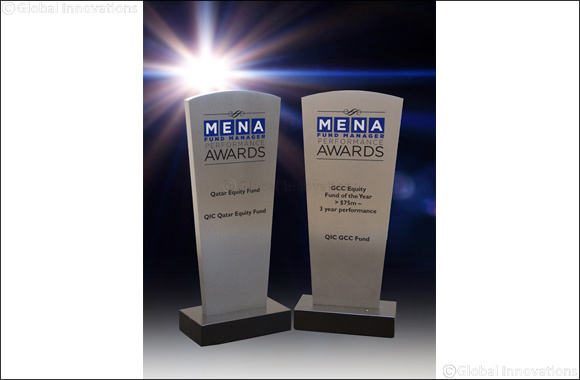 Doha, Qatar, March 19, 2019: Qatar Insurance, the largest insurer in the MENA region has won two prestigious awards at the MENA Fund Manager Performance Awards 2019. The award ceremony, which was held in Dubai recognised and rewarded fund and asset managers that had outperformed their peers over the last year. QIC won awards in two categories- the Qatar Equity Fund for its 2018 performance and the QIC GCC Equity Fund for its three year performance. The QIC GCC Equity Fund won the award for the best GCC fund performance over three years ending 2018 for a GCC fund with over $75m in assets. The Fund posted a return of 23.4% in USD terms over the three years and topped its category’s peer group comparison. The Qatar Equity Fund posted a return of 22.8% in USD terms versus its benchmark performance of 20.8% and topped its category’s peer group for the year 2018. Since inception (from July 2016 to end of 2018), the fund outperformed the benchmark index by 11.7%. The prestigious annual awards are organised by the MENA Fund Manager magazine (sponsored by S&P Dow Jones Indices) and reward asset managers that have outperformed their peers in various competition categories. The QIC Qatar Equity Fund is a Luxembourg domiciled fund, managed by fifty year old Swiss firm Notz Stucki and advised by QIC. The Fund was seeded and launched by QIC in 2016 and, as of 2019, had assets of $28.3 mn. The Fund seeks to make capital gains through investing in the Qatari equity market and hopes to outperform the DSM Index. The QIC GCC Equity Fund is a Luxembourg domiciled fund, managed by fifty year old Swiss firm Notz Stucki and advised by QIC. The Fund was seeded and launched by QIC in 2014 and, as of 2019, had assets of $125m. The Fund seeks to make capital gains through investing in GCC equity markets and hopes to outperform the S&P GCC Composite Index.